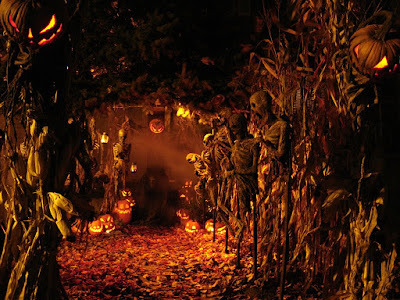 Halloween is the time of the year many are waiting for, not just because they can dress up and have free candy (for kids anyway), but for believers of the paranormal, it is also because it is very significant. During Halloween, it is said that ghosts, spirits, and other paranormal creatures become more active, and are therefore easier to reach or see. But is this really the case? And if so, why? The celebration we now know as Halloween traces its roots from European Celtic traditions, to a festival called “Samhain” (pronounced Saw-ween, which sounds very similar to the word we use today.) This would be around November of our calendar, and is during Autumn season, a time for harvesting of crops and taking care of livestock before Winter comes. It is believed by the ancient Celts that during this time, the Lord of the Dead called Samhain would lead the Celts who died in the past year to the land of the living, to visit their relatives before moving on to the realm of the dead. During this time, the living would offer rituals and pay honor to the dead relatives and ancestors, but out of fear of the dead, Druids, the Celts’ priests, would sacrifice one person to Samhain by burning them alive in a cage near the end of the festivities. This eventually was replaced with black cats, who were believed to do the bidding of witches, once the Romans took over Celtic lands and banned human sacrifice. When the Christian missionaries reached Celtic shores, they sought to convert the Celts by moving the Christian holiday of All Saints’ Day to November 1st, which coincides with Samhain. All Hallow’s Eve, another Christian holiday, was celebrated during the evening, and eventually the name “Halloween” was coined, and moved to October 31st, to precede All Saints’ Day. During this change, while the beliefs of the dead rising to mingle with the living and Samhain having to be sated died down, its traditions lived on with costumes depicting horrid creatures, like ghosts, goblins, witches, vampires, and the like, and has since been relegated to a fun holiday with a little scares. However, its roots still run deep, which is why many of us still feel that sense of dread and fear when this holiday comes around. 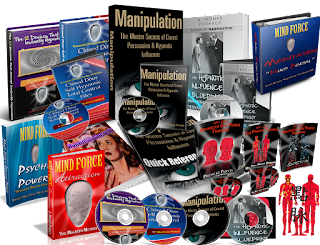 Have the answers to some of the greatest mysterious known to man and be a Mind Force specialist in 10 days! Why are ghosts more active during this time? The Celts’ beliefs are not without basis. They did not suddenly decide to say “Okay, this time we should be more fearful, the dead will rise up!” Their beliefs probably stemmed from the collective experiences of their people during that time; perhaps from the realistic risks of Winter coming, or perhaps of truly supernatural reasons. Many believe that during this time, the transition of the Autumn to Winter, is when the veil between the world of the living and the dead/supernatural is at its thinnest. Think of a rubber sheet that is stretched to near breaking, where you can almost see through it. That’s how it is. Many believe that it even has a scientific reason, associated with the planet’s geomagnetic activities during the 3 days of a full or new moon, which is often when Halloween falls on. Researchers over the decades have linked live moon phase data and solar and lunar eclipses with Biblical events as anchors for their argument for ghosts being more active during Halloween. As well, more proof of this is the rise in paranormal sightings and occurrences within days of Halloween. Paranormal investigations are said to yield more results during this time, because of the thinning of the veil. And finally, another reason why could be because of the collective psyche of the people during this time causing a “self-fulfilling event.” We previously discussed how the collective consciousness can cause change in the world. During this time, many people believe in Halloween, and even dress up as the very creatures they fear. With the whole human collective consciousness thinking about Halloween and paranormal creatures, they actually become empowered to come through and pierce the veil, making Halloween more active for ghosts and spirits. 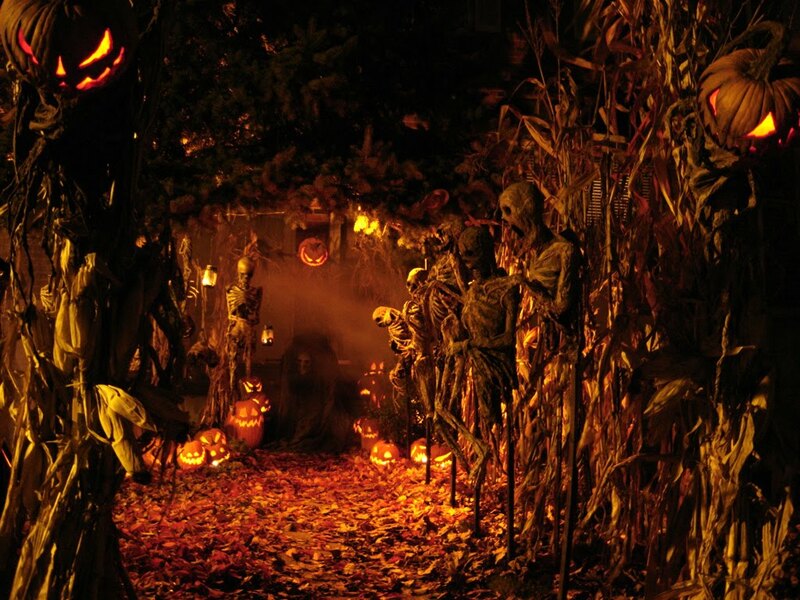 Whatever the reason may be, Halloween seems to be a very potent time for the supernatural. Make sure you are protected even as you have fun at parties or trick-or-treating. The Aura Shield is a binaural beats track for protection that can be used to protect you from negative energy. Using binaural beats and isochronic tones that range from 7.83Hz to 10Hz, these are associated with an enhanced release of serotonin (mood elevators), relaxation, improves stress tolerance and gives a sense of well-being. 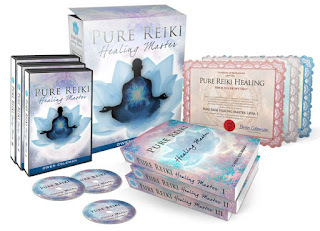 Using the Schumann Resonance of the Earth, this will also give you spiritual wisdom, as it is closely connected to your solar plexus chakra. Be One with the Earth’s natural brainwave and put your intentions to love, positivity and overall goodness.